Sometimes a tooth ache is just a passing tooth ache, while other times it can signal a serious condition: irreversible pulpitis. This means that the soft tissue encased inside your tooth root canal – where the nerves lie – got infected so severely, it needs to be removed. 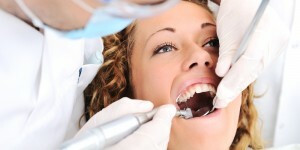 This dental problem is usually solved with root canals Lauderdale by the Sea FL treatments, all tailored to get you rid of the infection source and necrotic tissue. Today our experts in endodontics will tell you a few things about pulpitis and root canals. When the pulp inside your tooth becomes infected due to caries reaching deep inside the dentin or due to trauma, it signals the problem through pain. The difference between reversible and irreversible pulpitis is that the latter puts you through spontaneous bursts of pain that can last for prolonged periods of time. If left unattended, the necrotic pulp may evolve into an abscess. You may feel the problematic tooth a little elevated when you bite. If the infection reaches the bloodstream you may also be faced with more severe health threats. The moral of this story is to seek immediate attention from your dentist. If the pulpitis is reversible, the treatment usually consists in a filling. If the tissue went necrotic, the doctor will have to perform a root canal treatment or extract the damage tooth altogether. Your assigned endodontics specialist will first conduct a thorough evaluation of your tooth, a family history and even an X-ray before deciding you need a root canal treatment; you should know our doctors have nearly 60 years of experience and undergo continuous education and training to offer you the best treatment possible; we also offer all dental services under one roof, saving you time and money. The first session consists in cleaning the tooth and the removal of the problematic pulp; we use the safest anesthetics and the latest equipment and techniques, so you will feel comfortable during the procedure; we work fast and efficient to save you time and remove any threat to your health. The last session involves the sealing of the tooth or the placement of a crown to restore your dental health and function; your doctor may also prescribe you antibiotics to promote healing; we believe in prevention, so your doctor will also teach you how to care for your teeth properly in the future.